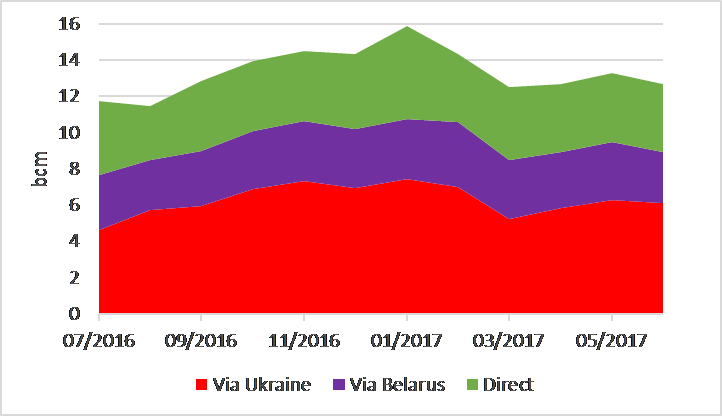 With summer here, Russian gas into EU fell by 4.7% in June compared with May, with the sharpest drop recorded for flows via Belarus (-11.7%) (Figures 1&2). The UK-Belgium Interconnector (IUK) was closed for planned maintenance between June 14 and 27 (Figure 3). 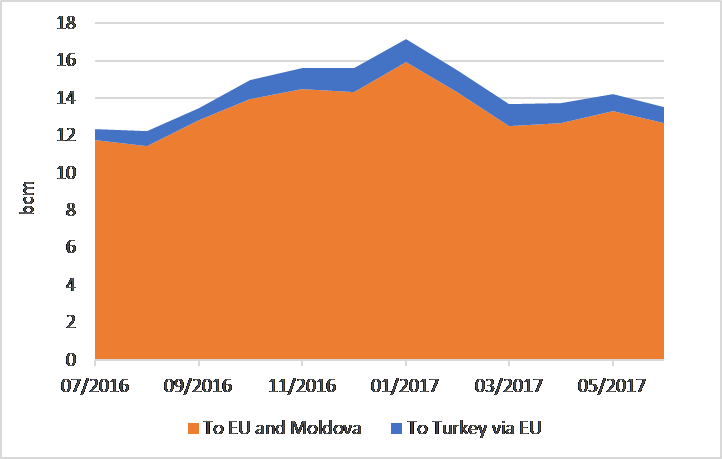 With Rough unavailable and IUK now exporting gas from the UK to the Continent, there should be even less gas Russian gas on the Continent for July and August. But later, with another reduced cap in Groningen production for the coming gas year – 21.6bn m³/yr vs 24bn m³/yr previously – we could expect Russian flows to increase to record level from October 1. 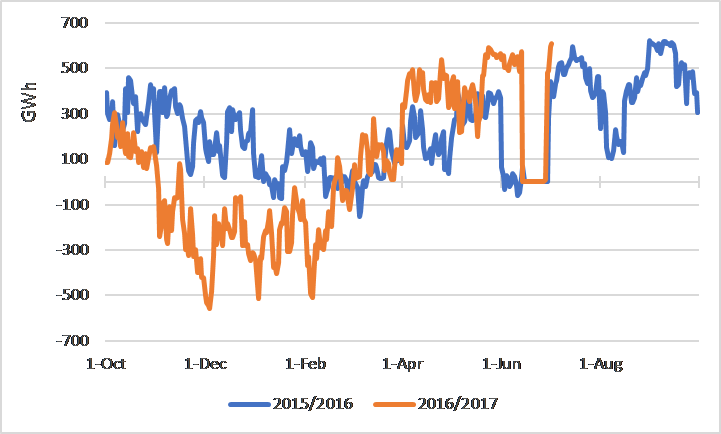 How are those record winter flows going to interact with the mandate the EU Commission is seeking to negotiate with Russia an agreement on Nord Stream 2 and US Senate willingness to impose sanctions on companies investing in this pipe?